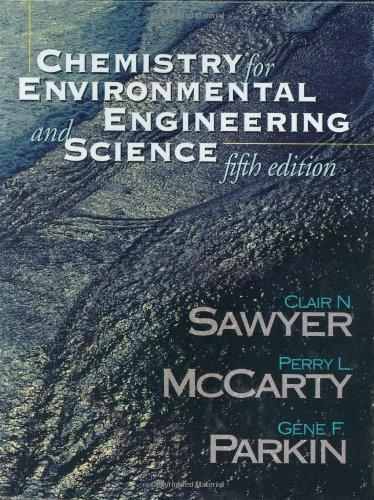 This is the definitive text in a market consisting of senior and graduate environmental engineering students who are taking a chemistry course. The text is divided into a chemistry fundamentals section and a section on water and wastewater analysis. In this new edition, the authors have retained the thorough, yet concise, coverage of basic chemical principles from general, physical, equilibrium, organic, biochemistry, colloid, and nuclear chemistry. In addition, the authors have retained their classic two-fold approach of (1) focusing on the aspects of chemistry that are particularly valuable for solving environmental problems, and (2) laying the groundwork for understanding water and wastewater analysis-a fundamental basis of environmental engineering practice and research.